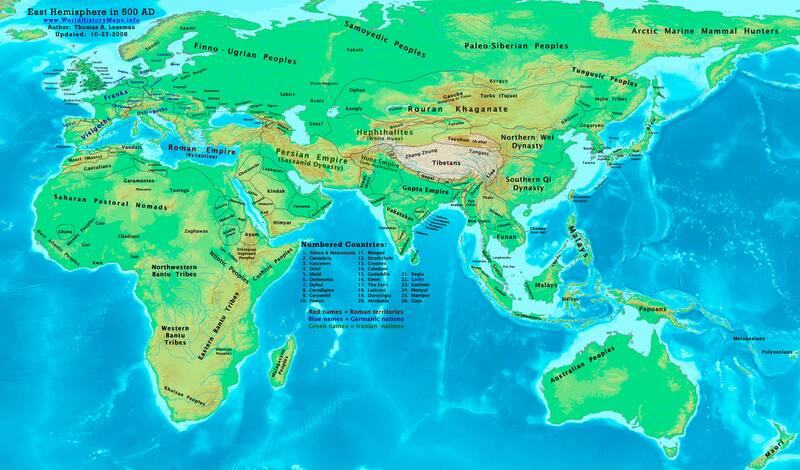 Map: The map shows the political distribution of states and nations during 500 AD. Love the podcast! Was a huge fan of Mike Duncan’s THoR, and enjoying the march throught the eastern empire. However, you deserve artwork worthy of a podcast, so here it is. Granted its highly derivative, and if any of you guys have ideas. let me know. Reblogged this on The Litmus Test. Christopher – that’s so kind of you. I will change the logo for the next podcast! Litmus Test – than’s so much for spreading the word. I’ve listened to all of your podcasts so far and hope that you can find the strength to continue them on toward the 1400’s. You really are doing a wonderful job. Please, please, PLEASE set yourself up with a donation link and advertise it quickly before or after your shows. Many people are more than happy to pay for the entertainment they receive from these podcasts. Also, please look into doing the same think Mike did with THoR and get a partnership with Audible.com going. Great job and I cant wait to listen to more shows! Keep them coming! Elagabalus? Well obviously I’ll do what you say. What with you being a God and all 🙂 Thanks so much for the kind words. 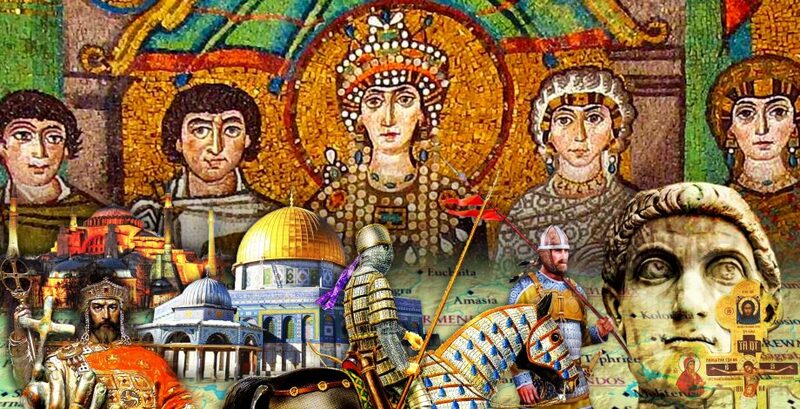 I will update everyone on donations etc when we get to the end of Justinian’s reign. I will be asking for support then I’m sure. For anyone who likes to keep up with the geographic side of things while listening to this podcast, check out geacron.com, it has an interactive map of the entire world from 3000 BC to today. It’s not perfect. For example it’s not as detailed as the one posted by Rob here, and it may be off my a few years here or there but all in all it’s an extremely useful resource if you want to keep up on how the world looked around this time or any time.